A little about the author, E.B. White. 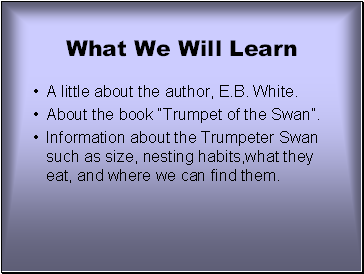 About the book “Trumpet of the Swan”. 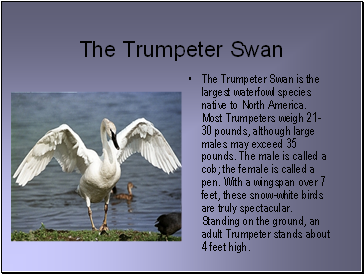 Information about the Trumpeter Swan such as size, nesting habits,what they eat, and where we can find them. 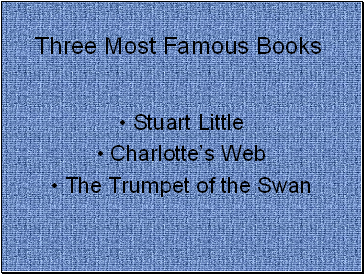 Was awarded the 1970 Laura Ingalls Wilder Medal for his children’s books, Stuart Little and Charlotte’s Web. 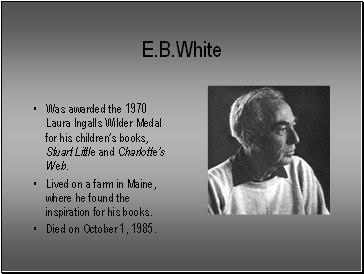 Lived on a farm in Maine, where he found the inspiration for his books. Died on October 1, 1985. Are my stories true, you ask? No, they are imaginary tales, containing fantastic characters and events. 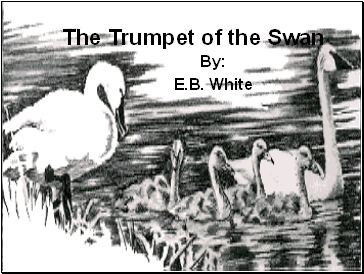 I In real life, a swan doesn’t blow a trumpet. But real life is only one kind of life – there is also the life of the imagination. 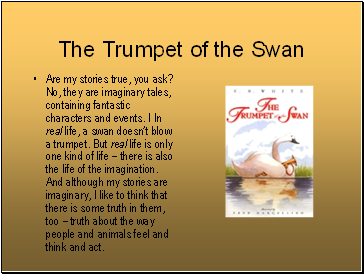 And although my stories are imaginary, I like to think that there is some truth in them, too – truth about the way people and animals feel and think and act. 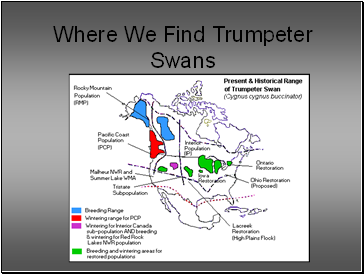 Trumpeters are the rarest swan in the world. They used to be abundant in North America but by the early 1900s, they were nearly extinct. 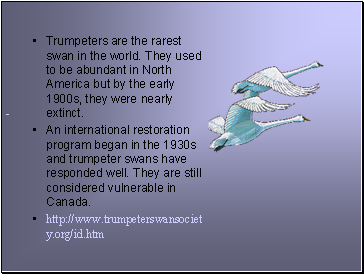 An international restoration program began in the 1930s and trumpeter swans have responded well. They are still considered vulnerable in Canada. 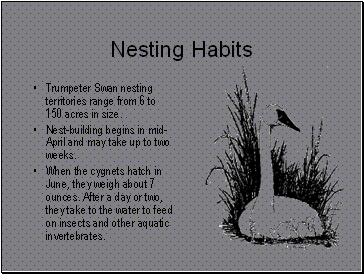 Trumpeter Swan nesting territories range from 6 to 150 acres in size. Nest-building begins in mid-April and may take up to two weeks. When the cygnets hatch in June, they weigh about 7 ounces. After a day or two, they take to the water to feed on insects and other aquatic invertebrates.